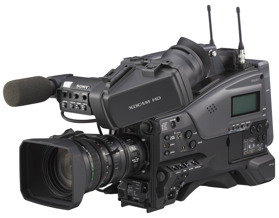 Videoforce has the latest technology for your video camera hires. Whether you intend to record a small boardroom event for archival purposes, display your presenter’s image on screen to a ballroom with a thousand attendants or if you need a multi camera solution with production to your concert, we have the solution for you. The URSA Mini family are powerful and robust cameras that are available in three different models, so you can choose the camera that best suits your needs. 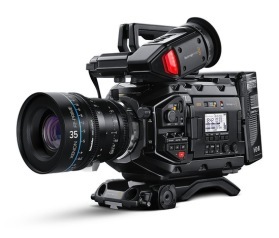 The affordable URSA Mini 4K features a fixed EF mount along with dual CFast card recorders. URSA Mini Pro 4.6K adds built in ND filters, an interchangeable lens mount, dual CFast and UHS-II SD card recorders, and a massive set of broadcast features and external controls. URSA Mini Pro 4.6K is the ultimate high end digital film camera with second generation electronics, a high frame rate image sensor, and a USB-C for recording directly to external drives. The PMW-350 extends the multiple award-winning XDCAM EX Solid State Recording product family with a new shoulder mount design and cutting edge new three 2/3 inch-type Exmor full-HD CMOS sensors. The PMW-350K also comes equipped with a 16x zoom HD lens (also available without lens as the PMW-350L) and offers all the advanced creative recording features of the PMW-EX1R compact camcorder, plus enhancements such as a Scene File System and 4 channel audio. Amazing low-light sensitivity. Gorgeous highlight handling. Able to see into dark areas without undue noise. 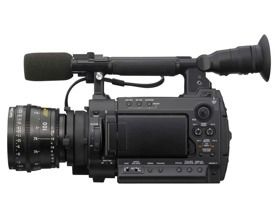 The PMW-F3 responds to light and color beautifully, as directors of photography can attest. It's all made possible by an original Sony ExmorTM CMOS image sensor purpose-built for the PMW-F3. This is not some DSLR image sensor retrofitted for video. In fact, the F3 image sensor pixels are four times the size of typical DSLR pixels, equal to a two-stop advantage. With a host of features designed to enhance every facet of the photographic process, from still images to video, the EOS 7D represents an advanced class of camera. 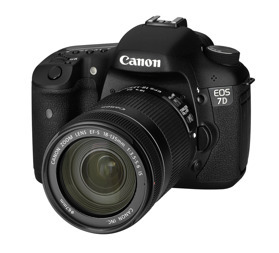 Made to be the tool of choice for serious photographers and semi-professionals, the EOS 7D features an 18.0 Megapixel APS-C size CMOS sensor and Dual DIGIC 4 Image Processors, capturing tremendous images at up to ISO 12800 and speeds of up to 8.0 fps. HERO makes it simple to capture and share your life. Built directly into a rugged, waterproof housing, and featuring high-quality 1080p30 and 720p60 video, HERO delivers the same immersive footage that’s made GoPro one of the best-selling cameras in the world—all in a simplified experience that’s easy for everyone. 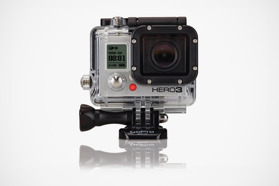 We have GoPro also available as 3D version.